Welcome to Kalamazoo, Michigan! Here you'll find friendly faces, world-class attractions, broadway-quality productions, nationally-recognized colleges, and so much more. Kalamazoo is big-city fun with an easy-going feel. Our lively, Art Deco downtown is enchanting with its fabulous dining, unique shops and galleries, live entertainment, and thriving night scene. In Kalamazoo, you're never far from lakes, outdoor recreation, festivals and street fairs. 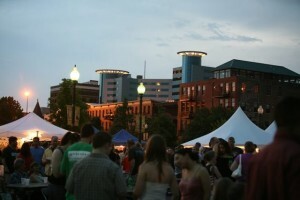 All year 'round Kalamazoo buzzes with activity. So, no matter when you visit, you can be sure there's always something to do. Music of all types fills the air; roars of excitement rise from sports events and ski slopes; art shows, Kalamazoo festivals, and special exhibits bring smiles and keep you coming back for more. With so much always happening, it's a good idea to book your calendar now.